Quick Stats: Distance = 2.75 miles, Elevation Gain = 3,200 feet. 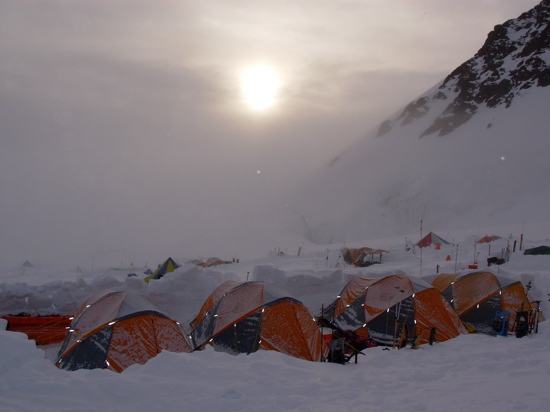 Time: approximate time from Camp 2 to Camp 3 = 7-8 hours. 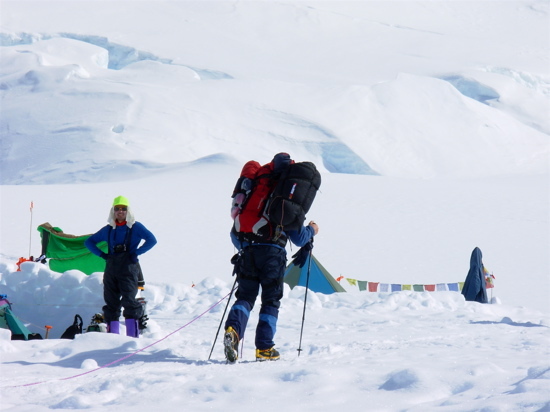 The West Buttress route starts to take on a very different feel as Camp 2 is reached. 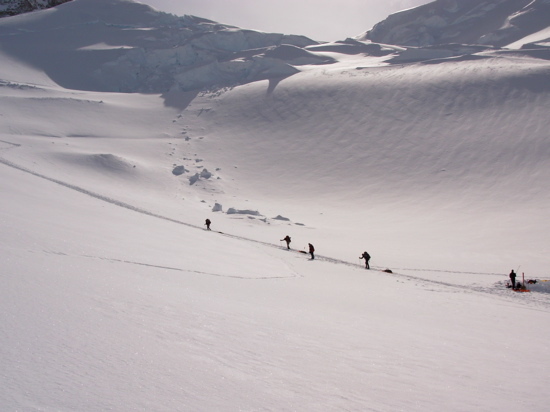 Climbers move ot of the low angled valley glacier and onto the mountains slopes for the first time. Steep granite ridges and faces start to close in around climbers and the view begin to get better and better as more elevation is gained. 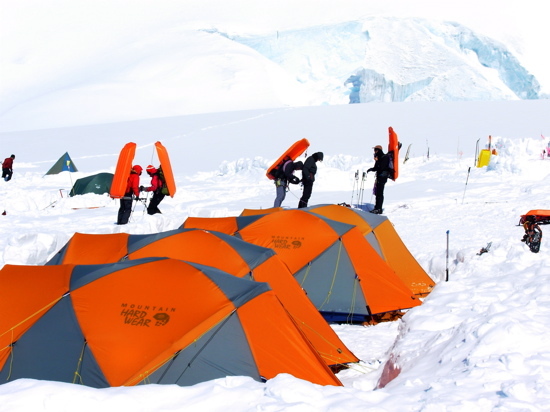 Camp 2 sits just at the base of Motorcyle Hill in a small glacial base below ice slopes and some very large serac's. 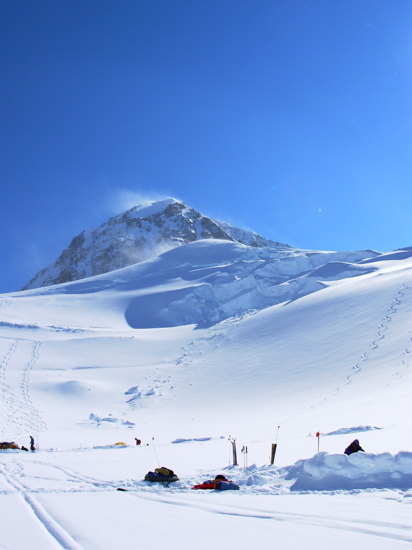 The corridor between Camp 1 and Camp2 near Kahiltna Pass is very prone to foul weather and it is not uncommon for climbers to pass through clouds and snow, only to emerge from the top of the clouds to blue skies as they near Camp 2. 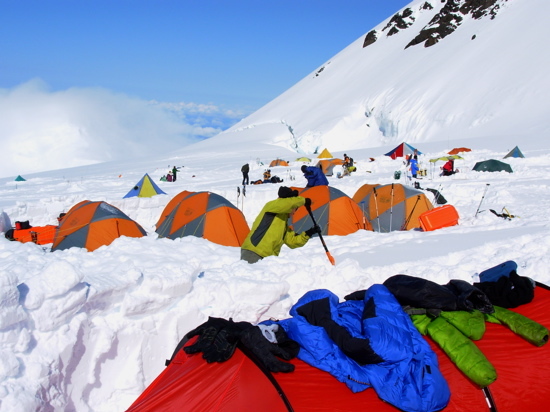 Drying gear in the sun at Camp 2 with a cloudy Kahiltna Pass below. 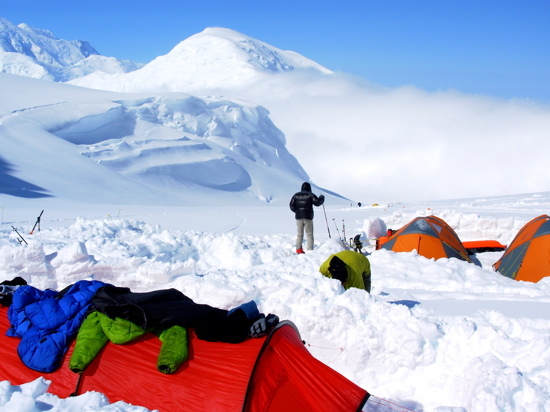 Climber Goran Matic at the edge of Camp 2 with the Kahiltna Dome behind. Parties start up Motorcyle Hill above Camp 2. 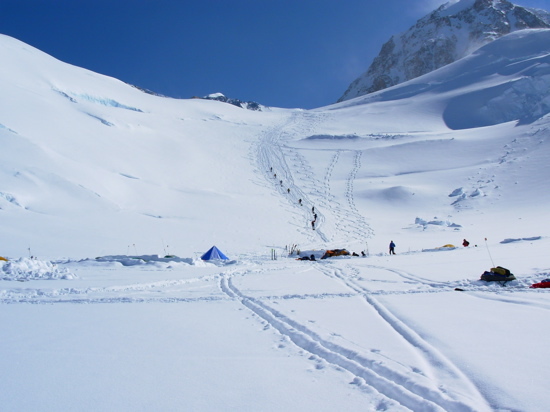 The feature above is the West Buttress Direct above Camp 2. 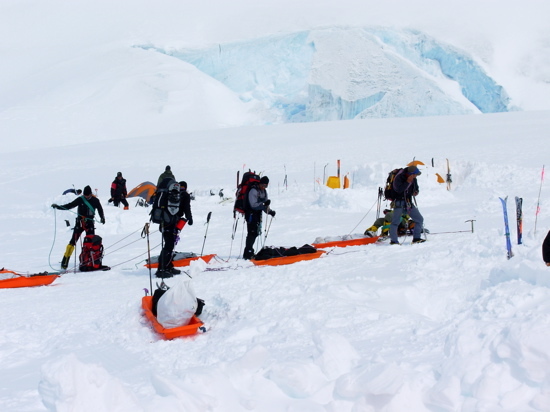 Climbers load rig their sleds for a back-carry from Camp 2 to our cache at 10,500 feet. An AAI group is packed and ready for the drag up Motorcycle Hill. Parties converging on the steepest part of Motorcycle Hill. Looking back through Camp 2 from the base of Motorcycle Hill. 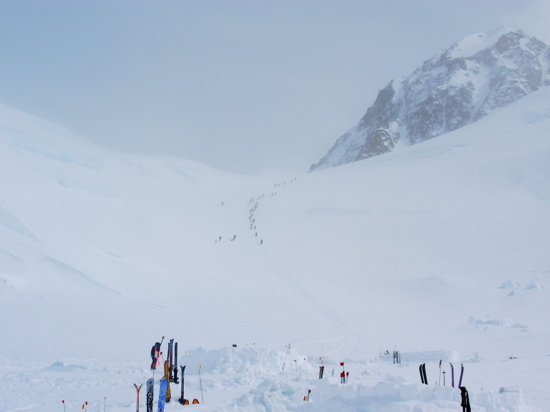 Climbers start up the initial slope of Motorcycle Hill. 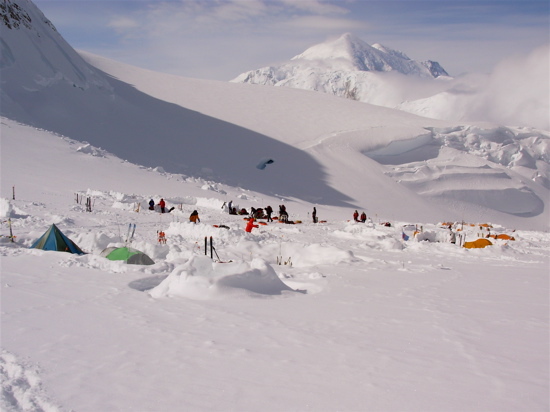 A heavily-laden climber passing through Camp 2.